From November 2014 to July 2015 I was part of the development team of Oodavid, with David King and Simon James. 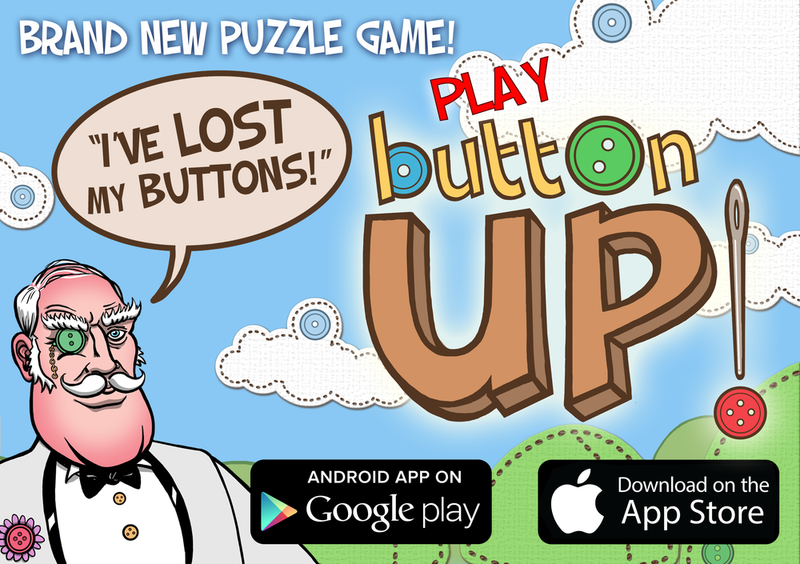 Together we built the mobile puzzler, Button Up! Button Up! is a quick-fire spatial-logic game for Android and iOS. Connect buttonholes to complete patterns and score points. Sounds easy? This game will box yer noggin! Unlike many casual games that rely heavily on luck, Button Up! is challenging but fair - we have created something that is simple enough for a child to play, but difficult for a genius to master. With 23 gameplay modes from "Get a Star in 5 moves" to "Create a perfect pattern in 20 seconds" there is plenty of variation to keep players on their toes! Scroll down for some sample images and our gameplay video. Button Up! Gameplay from Simon James on Vimeo.